Are you planning to attend 2018 FIFA World Cup in Russia? The most anticipated event for 2018 is the 2018 FIFA World Cup. There are 32 national teams that qualified and ready to arrive for the tournament. From the middle of June to the middle of July, 64 fixtures will take place in different cities and towns of Russia. The final stage will take place on 15th July in Moscow at Luzhniki stadium, when new world champions will be crowned. Are you planning to attend the 2018FIFA World Cup in Russia? Are you prepared to experience the thrill of the event and support your national team or perhaps simply go there and be a part of this exhilarating even that will be shown to the whole world? 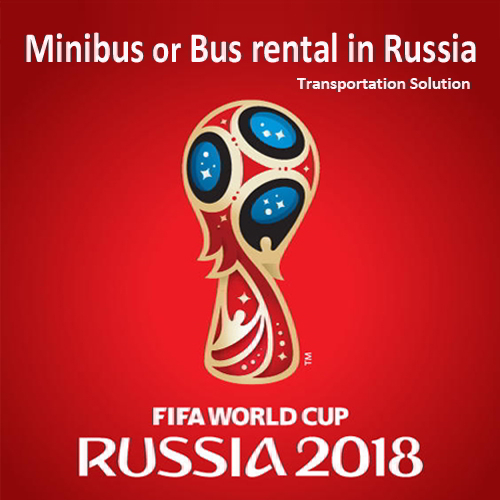 Well, we have a solution for you in terms of travel arrangements for 2018 World Cup. Depended on your needs, taste and budget we can provide a car with a driver, a van, a minibus or a coach. Our services will guarantee you the most pleasant travel experience and exceptional comfort whilst you are on the move. If there are two or three of you then a car with a driver will probably be the best. You will not need to look at the monitor of navigator or learn the streets of a town where the fixture will take place, reduce travel times, never get speeding penalties or parking tickets etc. If there are from four to eight people in your company then a van is preferable to move the company around. Instead of spending money on public transport the whole company simply can hire a van with a chauffeur driving you around, get free transfers to the places arrival and departures if the vehicle is hired on that day. If the company is larger than mentioned above, for example from eight to twenty people then a minibus with extra capacity can be supplied for you. Your company will get exactly the same benefits as mentioned above but the cost will be even more efficient! If this is a self organized group or a large group from twenty to seventy people in it then the solution is to hire a coach. We can provide our customers with comfortable coaches that are equipped to the modern standards and comply with all the safety regulations. The whole group will not only enjoy comfortable drives to the stadiums and open practice sessions but also will be taken to the city’s main attractions and have plenty of fun in general! Hiring a vehicle is a wonderful option worth thinking about in case you are planning to explore rural Russia. Here public transportation is not only inconvenient but can also appear infrequent, while taxis cost expensive. On the other hand, a reliable car rental may become an economical alternative in case of traveling with much luggage or in large groups.However, traffic in larger cities of Russia is quite heavy and may be burdensome if you are behind the wheel. From one side it is difficult to park where necessary, on the other side you may orientate here with a great difficulty. Entrusting your transportation to an experienced local driver, you will get rid of a series of inconveniences. You will no longer be obliged to carry heavy luggage with you, inquire about this or that direction from passersby, or get nervous by trying to catch a taxi. 8Rental can provide you with a driver who will act as your personal driver for an event, an entire day or during your whole stay in Russia regardless the number of stops you are going to make. Just rent a car with driver in Russia from 8Rental and a professional chauffeur will arrive at the destination you name let it be your hotel, or the airport, at the requested time and dressed professionally. 8Rental chauffeur service offers only the most reliable and stylish cars on the market. We are deeply concerned with the safety of all our customers, hence put the safety system of a car in the first place when enriching our fleet. Our car rental with driver service wants to remind that your vehicle choice should be determined by your requirements. Consider the budget you can afford for booking the vehicle, consider the number of passengers you will be traveling with and take into account your personal preferences. We have some of the best cars, minivans, and coaches offered to clients' choice. You can also base your choice on the vehicle class. We have Standard, Business and First class models. All of the vehicles are available with a line of specs to satisfy all the expectations one may have from a means of transport. Besides super soft and comfortable seats, there are such amenities as climate control, advanced safety system, luxury leather interiors, air conditioning, and others. Hire a chauffeur driven car in Russia for a premium level transportation in the country. And if you are used to nothing but the luxury, there is a chance to rent a chauffeured limo in Russia by 8Rental. Chrysler c300, Lincoln Town Car Limo, Cadillac Escalade, Hummer H2 Limo - are what we have prepared for our VIP clients! Traveling with friends is such a fun! Yet, once there is little space for everyone to sit back comfortably, the whole journey may appear tiresome and undesirable. Why should you deprive yourself of such a pleasure as heading to Russia with your whole family or the best friends just because you have worries concerning the transportation in the country? As long as 8Rental is by your side, you will get only the benefits of driving in a group. Hire a minivan with driver in Russia and let us take care of your moving around the country's cities. Furthermore, 8Rental suggests hiring an ample coach Mercedes Tourismo designed for transporting as many as sixty-five people at the same time! Huge, isn't it? All of these vans and buses are in excellent condition powered with everything necessary for you to enjoy your tour! Reliable. This one word can describe 8Rental chauffeur service better than plenty of other words put together. The same refers our licensed drivers. They are dependable and will never let you down, be sure. 8Rental has employed quite a big staff of professional drivers speaking different languages besides Russian. Hence, when ordering a car with driver, you can pick up the one who speaks your language. Each of them has got much practice in the sphere of passenger transportation and knows the roads better than any taxi driver. Once you name the address, you will be driven to the right direction immediately. Russia is one of the most powerful countries and the largest one in the world. Its population is around 144 million, yet annually millions of tourists visit this magnificent country to understand what it means - the Russian spirit! And if you have determined to discover the secret of the country's majesty, 8Rental will kindly offer its help. Just rent a vehicle with a skillful driver to drive you to all landmarks and places of interest in this country! Be certain it will be a great thrill to relish the serenity of the Russia's countryside by admiring Lake Baikal, the Greater Caucasus mountains, resort Sochi, and others. 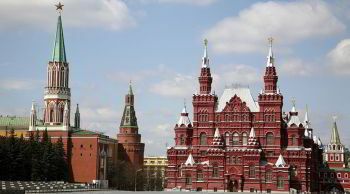 Don't forget to visit Saint Basil's Cathedral, Hermitage Museum, Red Square, Moscow Kremlin, and other remarkable landmarks. Available 24/7, 8Rental suggests applying for a premium car with a driver the moment it's convenient for you. Just get a quote, complete it and be met right at the airport of Russia. 8Rental can send its vehicles to meet you at Domodedovo, Sheremetyevo, Vnukovo, Sochi, Simferopol, Tolmachevo or any other airport of the country. By hiring a vehicle with driver from this major car supplier in Europe, you will be provided with fuel absolutely free of charge, as well as medical insurance, some optional amenities for the ordered car, etc. Fees and taxes are left to our responsibility. Apply now to get high-level services the moment you step onto the Russian land.